Centers in Jeddah and Dammam will process PE film-grade waste and reformulate it into resin granules. The decision is final. By the end of Q4 2007, INDEVCO Group will launch plastics recycling operations on the east and west coasts of Saudi Arabia. The company, to be headquartered in Jeddah, will collect plastic waste – particularly polyethylene (PE) film-grade plastic waste – in Jeddah and Dammam. The materials will be brought to the factory and segregated into grades, such as clear, colored, heavy print, solid waste, and more. 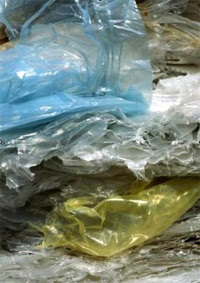 Plastic film will then be shredded and solid waste crushed. After being washed, the waste will be re-processed into recycled PE granules of varying grades. Clear, milky and colored granules will be reutilized to produce non-food PE films for sacks, garbage bags, mulch film, and other applications. Further, the company will compound recycled pellets with specific additives to produce special grades for cost-saving purposes. Saudi Arabia is one of the largest producers of plastic in the world. Recycling is gaining attention in the kingdom, as evidenced by the first international Recycling & Waste Management exhibition held in Riyadh in March 2007.